At the same time, you could establish several international forwarding numbers in countries around the world and have them ring to your call center. Whether you run a small business or an enterprise organization, global call forwarding can help you become more flexible and agile. With global call forwarding, you have several options. For example, you could establish a virtual number that follows you no matter where in the world you may happen to be. Imagine the possibilities! Below are just a few examples of how your company can take advantage of global call forwarding. As an individual who travels frequently, you may want to check into using global call forwarding as a means of staying in touch with employees, clients, and family members back home when you travel overseas. As you know, your cell phone doesn’t always work in other countries, and when it does, international roaming rates make accepting calls from people back home an expensive proposition. Many business travels find it cheaper to buy a disposable mobile phone once they arrive in a country but that brings problems of its own. For example, you need to inform everyone that you have a new number for them to call if they need to reach you when you’re in that country. Since the phone number is local to the country you’re in, your contacts will face international long distance charges should they need to call you. Plus, once you dispose of that phone, you’ll need to tell your contacts that that phone number is no longer valid. With global call forwarding, you establish a local phone number within your own country (or a toll free one depending on your preferences). You can keep this virtual number indefinitely. The beauty of global call forwarding is that you can change the “ring to” number on the fly. When you purchase a disposable mobile phone in a new country, you simply switch the global call forwarding number’s ring to number to your new mobile phone. You do not need to inform your contacts. They simply dial the same number they always dial. Since the virtual number is local to your own country, your in-country employees, clients, and family members do not need to worry about international dialing costs. Meanwhile, if you use a reliable, low-cost global call forwarding service, the rates that you are charged will be far more affordable than international roaming rates. In fact, you can view per minute rates for each country you frequently visit before you sign up for a plan. Another way to use global call forwarding for your business is to establish local phone numbers in the countries that you serve and then have those calls diverted to your call center or main office. To customers in various countries, the phone numbers are completely local. They may even feel as though they’re dialing a business across town thanks to the way the number appears and even the sound of the ringtone. However, the phone will ring to your designated number whether it’s in the same country or not. This provides your business with a flexible alternative to setting up physical locations around the world. Having a global call forwarding number in a different country does bring with it one challenge: global time differences. However, those differences can be dealt with using time of day routing. For example, if a caller calls you during local business hours, how do you want the call handled if it’s the middle of the night your time? With time of day routing, you can send calls to a live answering service, call center, or voicemail based on the time of day calls take place. Since callers don’t expect to be helped after business hours, you could send those after hours calls to voicemail as expected or, if those calls occur during your normal business hours, you could exceed expectations by handling those calls in real time. Time of day routing is a flexible feature that allows you greater control over how incoming calls are routed based on the time of day they occur. Global call forwarding is a convenient, low-cost choice for businesses of all sizes. 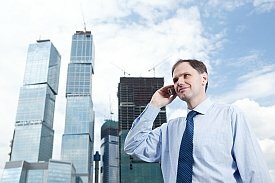 Whether you’re a globetrotting executive who needs to stay in touch at all times, a mid-sized business owner who wants to make it easy for international customers to reach your office without investing in a physical location, or a call center manager who needs to staff a call center to handle incoming calls around the clock, global call forwarding can help you become more flexible. Many business owners prefer that local callers use their main number instead of their toll free numbers due to costs. Need to expand access to your business globally or locally? Virtual numbers are a special type of phone number. Because they are “virtual,” these numbers can ring to any phone that you choose worldwide. They do not need to be installed at your office or permanently associated with a local or mobile phone number. In fact, you can change a virtual number’s ring-to number as often as you’d like – in real-time. This flexibility makes virtual numbers extremely portable and beneficial to businesses. Here are five ways (of many) that you can use virtual numbers in your business. As you know, advertising is expensive. It is imperative to find out which ads work and which ones don’t. One way to do this is to use a unique virtual phone number with each advertisement. From there, you can look at each number’s activities to see which advertisements are resulting in actual phone calls. In addition to looking at the total number of calls each advertisement generates, consider the duration of the calls. Six-second calls, for example, are likely hang-ups whereas five minute calls may indicate a closed sale. While your phone records can provide robust insights into the performance of each ad, it’s also smart to have your customer service representatives source each sale. With some services, it’s possible to set up incoming calls from virtual numbers to display the virtual number in the caller ID field. If your business is physically located in Miami, Florida, it makes sense to have a local number as well as a toll free number for your business. Callers from other cities and states would most likely opt to use your toll free number when calling your main office. However, what if you specifically serve cities outside of Miami such as Orlando, Florida or Los Angeles, California? You could get virtual numbers for those cities and then route the calls to your Miami office. By establishing local phone numbers in the cities that you serve, your business instantly appears to be a local company. This strategy can be applied internationally as well. Simply order international virtual numbers and use global call forwarding to route those calls to your main office. Publishing your main office number allows local callers to call your business directly. Many business owners prefer that local callers use their main number instead of their toll free numbers due to costs. However, if you have to move your office, you could lose your main phone number. When that happens, you will have to either re-do all of your advertising, stationary, business cards, and invoices so that they have your new phone number or pay the phone company the going rate to forward your calls to your new number. By using virtual numbers from the beginning, you can keep your “main” number regardless of where your office is located. In fact, you can switch your main office on the fly if so desired. For example, if you want to work from home one day and then work from the office the next, you could instantly switch the ring-to number to ring to your physical location. 4. Use virtual numbers to receive calls on your mobile phone while keeping your mobile phone number private. If you need to be accessible occasionally but hesitate to give out your cell phone number due to concerns about people calling your cell phone 24/7, consider using a virtual number. When you need to accept calls on the go, you could route the virtual number to your mobile phone without having to give out your private phone number. This is a great way to ensure availability when it’s warranted without being subjected to intrusive calls on your cell phone when it’s not. When you are not on call or when you want to have uninterrupted family time, you can route your virtual number to your assistant, voicemail, an answering service, or some other alternative. 5. Use virtual numbers to control international calling costs. Since you can change the virtual number’s destination number to any phone number in the world, consider using your virtual number when making an international phone call. Of course, you’ll want to compare per minute rates to make sure that using your virtual number is the cheaper option. In many cases, it will be, especially if you have an international virtual number plan with low per minute rates. When the time comes to make the international call, simply change the ring-to number to the number of the person you need to call. From there, dial your virtual phone number. After the call, make sure to change the ring-to number back to your regular ring-to number or voicemail.